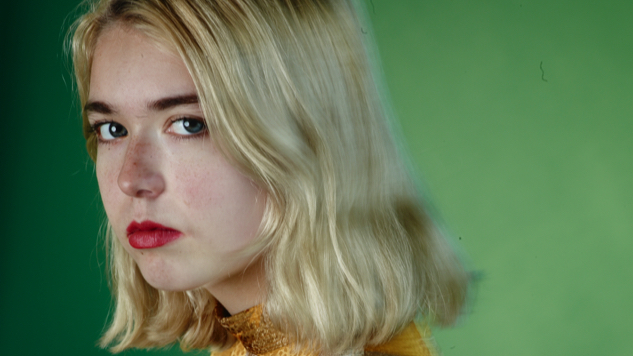 Snail Mail released a cover of Courtney Love’s “Second Most Beautiful Girl in the World” Friday, available exclusively via Amazon Music. The original track is not by the famed Hole singer—no, there happened to be another Courtney Love making alternative music in the late ‘80s. This Courtney Love was actually two people, Lois Maffeo and Pat Maley, and they were on the roster of the legendary Olympia-based indie label K Records. Their simple, personal pop songs feel like a perfect match for Snail Mail singer Lindsey Jordan’s miniature epics of minutiae, and “Second Most Beautiful Girl” is no exception. Jordan pushes her voice to its raspy outer edge on the song’s simple refrain, breaking and bending over clean-toned strumming. “Is she a dream or is she a drag?” just sounds right coming from Jordan. Snail Mail will be continuing their tour for the remainder of the year. Find the full list of dates further down. Hear the studio version of Snail Mail’s “Second Most Beautiful Girl” cover at Amazon here and watch Snail Mail perform the song live at a show from earlier this year below.